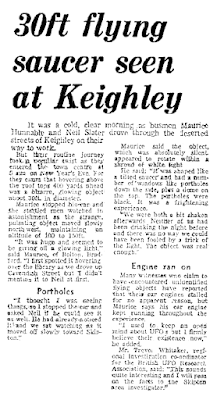 … hovering above the roof tops 400 yards ahead was a bizarre, glowing object about 30ft. in diameter. as the strange, pulsating object moved slowly northwest, maintaining an altitude of 100 to 150 ft.